It is no secret that the energy of dolphins can move quite a bit in your awareness. This will manifest a boost in personal growth. Your process is supported by an experienced team of health coaches/trainees. They provide guided meditations, relaxations, footre flex massages, massages, yoga, Bach flower-remedies and when desired, coaching à la carte. 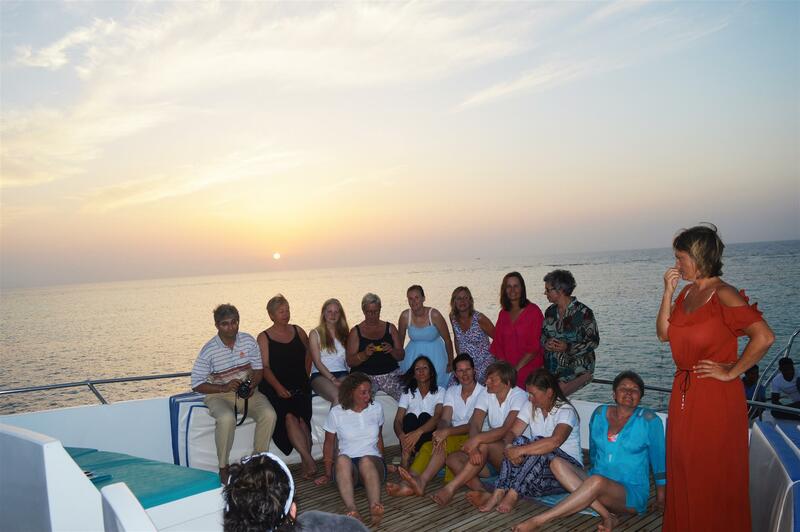 We stay on a comfortable yacht in Sataya Reef in the Red Sea (Egypt). You can snorkel freely amongst wild dolphins in their own environment, in the care of professional snorkel guides. All included except Visa (25€), tip for the crew (30€) and alcoholic beverages.